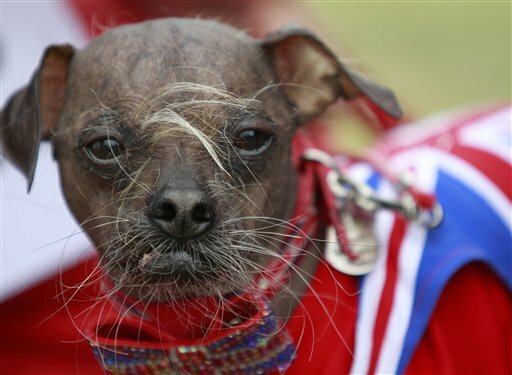 And the winner of the World’s Ugliest Dog Award goes to . . . Mugly, a Chinese Crested Short Snout. Mugly beat out 27 other beastly-looking pups for the title this past weekend in Petaluma, CA. This entry was posted on Monday, June 25th, 2012 at 4:29 PM. It is filed under Blog. You can follow any responses to this entry through the RSS 2.0 feed.